In early May, The Huffington Post published an article by Jennifer Tuckett of Central St Martins in which she stressed the importance of an arts education. 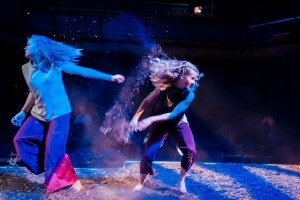 Creativity and ‘soft’ skills are increasingly important in the modern workplace, she argues, but points out that funding pressures and the introduction of the EBacc are likely to see subjects such as art, drama and music lost in schools – and with them our greatest assets in encouraging creativity in young people. Jennifer Tuckett is right to be concerned. In recent times, the educational mood music from Whitehall has been that STEM subjects (science, technology, engineering and maths) are the horses to back in terms of skills for employment in the global race. We can all agree on the importance of these disciplines, but I see an instinct to promote STEM subjects in school at the expense of a wider education, and I believe this is to miss a trick. The late Steve Jobs, perhaps the best known popular innovator/entrepreneur of recent times, explained that he and Apple co-founder Steve Wozniak were also big Bob Dylan fans. However, Jobs’ involvement in the arts extended well beyond simple appreciation: rather, he is on record as considering artistic sensibilities as being central to technological innovation. Less anecdotally, various researchers have found a positive relationship between participation in arts and crafts and success in scientific and technological careers. This is not a new phenomenon – in the late 1900s J.H. van’t Hoff investigated several hundred historical figures in science and concluded that the most imaginative of them pursued artistic, musical and poetic talents when they weren’t hard at work on the day job. So what is the solution? Just recently, the educationalist Bill Lucas wrote in the TES that a focus on STEM subjects at school is not sufficient for would-be engineers. Rather, he says, the world class civil engineering department at UCL has shown that undergraduates do not need maths or science at A level in order to excel, which rather turns accepted wisdom on its head. Other subjects matter too, argues Professor Lucas, and Art and Design in particular (which will no doubt be music to the ears of new V&A Director Tristram Hunt). It is the arts that provide the ‘A’ in STEAM (adapted from STEM), and they help to facilitate what he proposes are the necessary habits of mind. 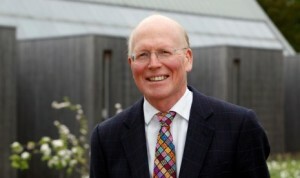 Bill Lucas’ position reinforces what we at Bedales know intuitively to be true – we encourage our students to develop a facility for understanding their subjects, and indeed their worlds, from as many different perspectives and experiences as possible. The crucial factor is the provision of time in which students can explore and join up the different parts of their disciplinary landscapes through doing, listening, talking and thinking. 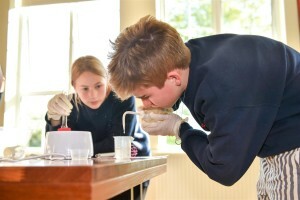 Bedales provides an unashamedly arts-rich education. However, whilst many of our students go on to make successful careers for themselves in creative pursuits, many others enter other fields, including engineering, and tell us of the value of their grounding in the arts and humanities to their work. I’d like to think Steve Jobs would have approved.